I recently had a baby and knew that I had to get those sweet tiny footprints preserved on pottery ASAP! 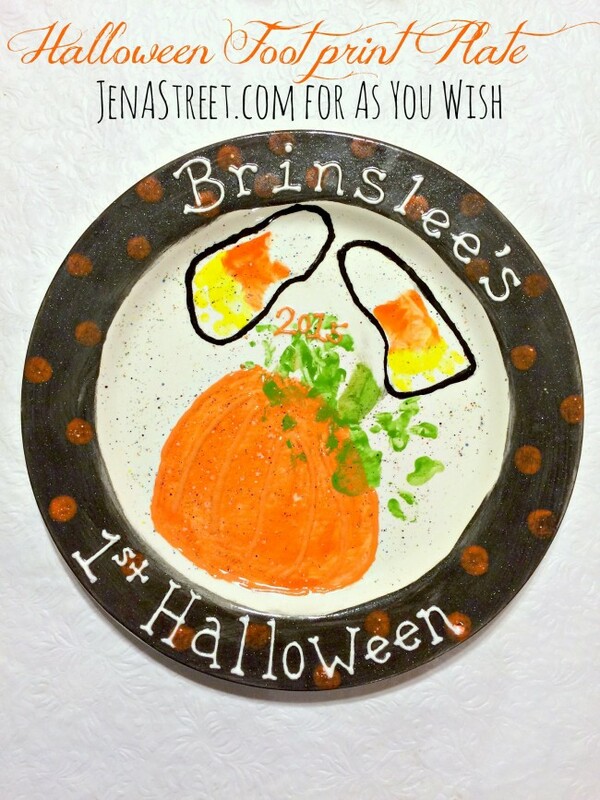 Being that her first ever holiday was going to be Halloween I decided to make a cute plate to commemorate that! 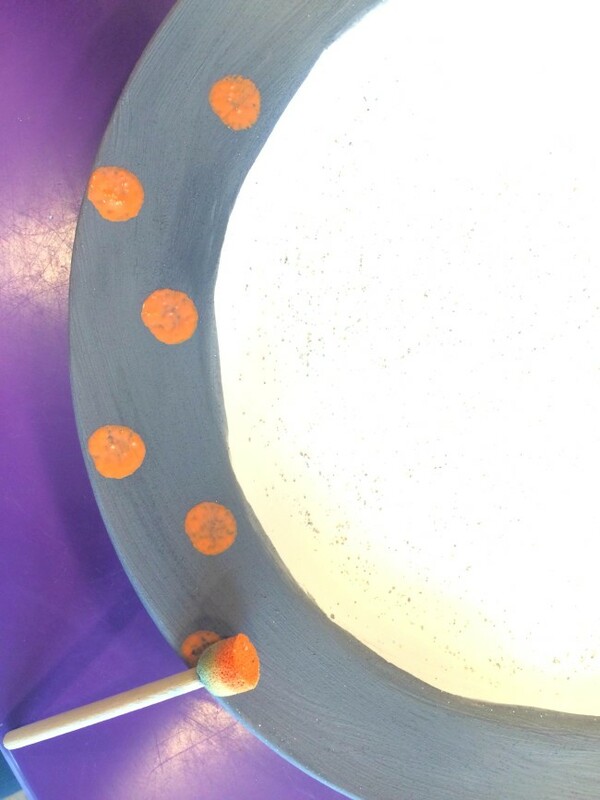 To add a little more whimsy I grabbed one of the round sponge daubers to make cute polka dots on the rim as well! 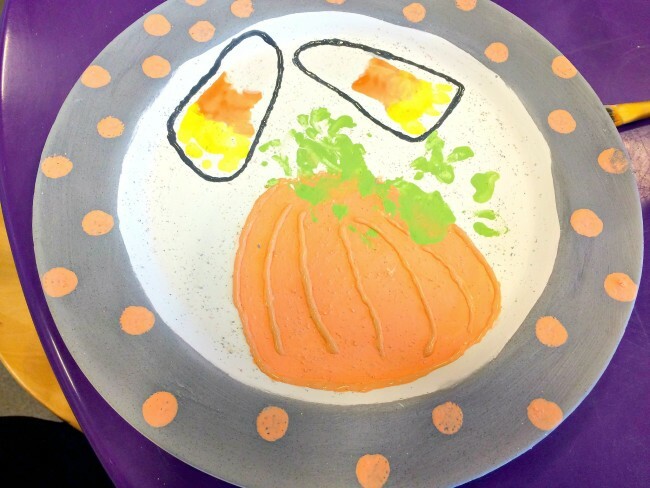 Next, I got to work on my pumpkin being that my daughter was going to be dressed up as a pumpkin for Halloween I knew I wanted to incorporate one in the plate. I first attempted to use her hand prints as the stem for the pumpkin. I knew that it likely wasn’t going to work as I hoped because newborns don’t like to lay their hands flat but I was okay with that because I know that her little hands are what painted the green “stem.” Then, we got to work on adding her foot prints to the plate. I thought it’d be cute to paint them as candy corns. 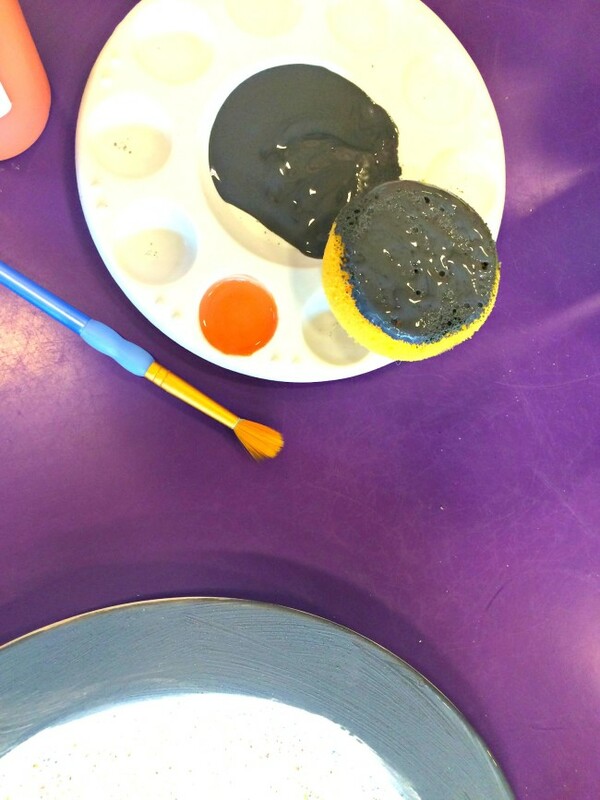 The staff was so helpful getting her foot painted and helping me place it on the plate. Once the hand and foot prints were complete I added some finishing details by outlining the candy corns and adding some dimension with puffy paint on the pumpkin. Lastly, I had the staff add wording to the plate for me. I feel like I could have composed a better design or chose better colors but at the end of the day I love that my baby girl’s tiny footprints are there. I will always treasure this keepsake because this lil pumpkin is just gonna grow and grow! Go HERE if you’d like more info on hand and foot prints and see a video on how to capture great handprints and footprints on pottery. Make It Monday – Monday Night Football!